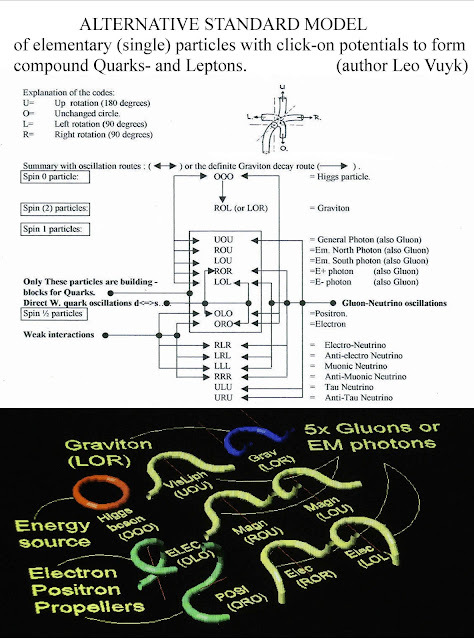 The Vedic Rgveda Astronomical Code, compared to Quantum FFF Theory. The vacuum of space is not empty. In fact, quantum theory predicts that it teems with virtual particles flitting in and out of existence." Varuna, the Oscillating Higgs-Virgin Vacuum Lattice (OHVV), and Agni (Higgs) as the origin of Dark Energy or pushing Casimir effect seems to be found!! Dr. Raja Ram Mohan Roy, PhD, did research on this subject, which is published in his book: "Vedic Physics" 1999, “scientific origin of Hinduism”. Published by Golden Egg Publishing. Toronto CA. Foreword by Prof.Subhash Kak, author of “The Astronomical Code of the Rgveda”. Hidden meaning seems to be most significant in the way that the Rgveda speaks a lot of the sacrifice of different named Gods to become an other (multiple) God. The God Perusa (the Big Bang Black Hole, BBBH) could be interpreted as the vacuum particle based black hole and particle origin of everything in the universe and this God does its work by the sacrifice of itself into different pieces and different forms. 7 Paridhi﻿= 5x Gluon/photons + electron+ Positron! This seems to be a so called "string embedding of the standard model"
Aditi: the 2e stage Big Bang. Soma: a general expression for all the different particles including Higgs-Virgin particles. Varuna: Oscillating Higgs-Virgin Vacuum (OHVV) in lattice form. Yami and Yama: the electron and positron. The Ashvins (twins): Proton and Neutron. Mitra: Quantum Entanglement, or EPR correlation between ant-copy particles located at variable local distances. Usha: Galaxy- or Stellar (dual) Anchor Black Holes system (GABH/SABH). .
Ratri (sister of Usha): single migrating Black Hole. Asura: White Hole lying in between the dual GABH or SABH. Rudra: general expression for a Black Hole. Vitra or Savitr (the Serpent): (multiple splitting ZPE Black Holes). 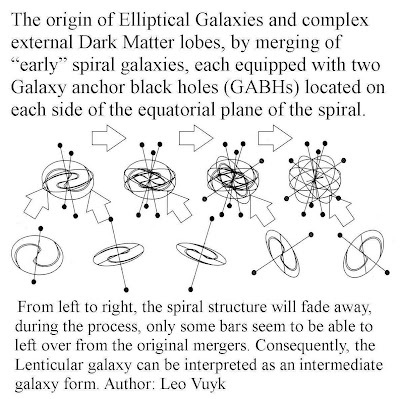 Representation of Fractal Creating Black Hole (FCBH) the origin of the universal Lyman Alpha forest or, at smaller scales structures like the Eagle nebula and perhaps even smaller on earth, Stepped leaders of lightning strokes . 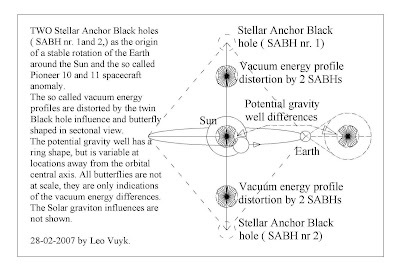 Tvastar: Vacuum lattice Creating Black Hole Splinters (VCBHS) evaporating and creating the the vacuum lattice. 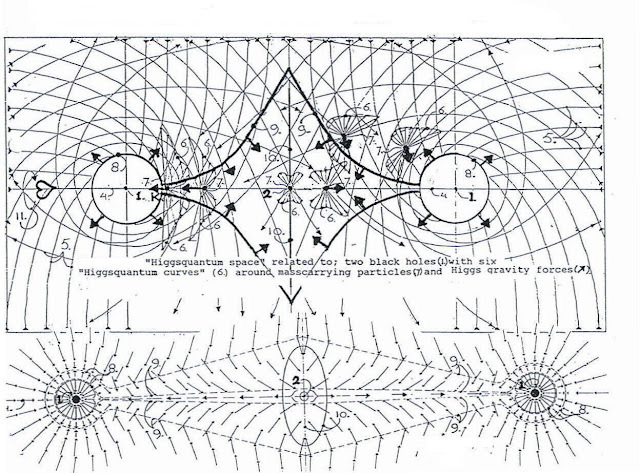 Pusan (the eye of Vitra): Fractal Creating Black Hole (FCBH). Surya: Higgs-Virgin vacuum polarization around black holes and massive objects. Aryaman: Big Bang Entanglement (EPR correlation) between anti-copy oscillating vacuum particles located in separated dual universes. 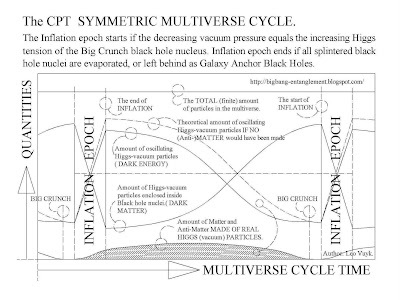 From the Big Bang Black Hole (BBBH) down to Ball lightning black hole, (BLBH). 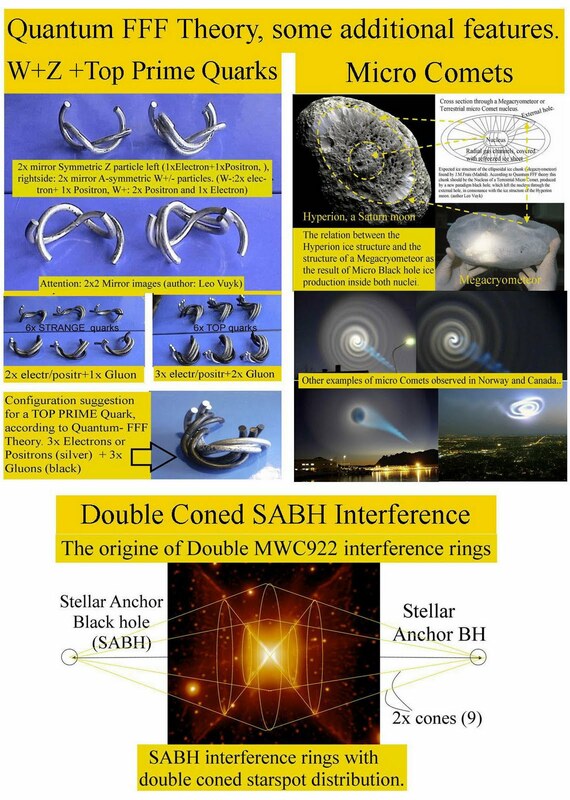 Such a symmetric double BH configuration is even observed in much smaller objects like star forming Nebula and in the Hartley 2 Comet!s a consequence I suppose that ALL Black Holes are able to pair and split, not only in the Big Bang or star forming Nebula, but at all other scales down to ball lightning. Sprite Fireballs are Observed at 70-90km Mesosphere. See Langmuir Lab. High speed Sprite video. 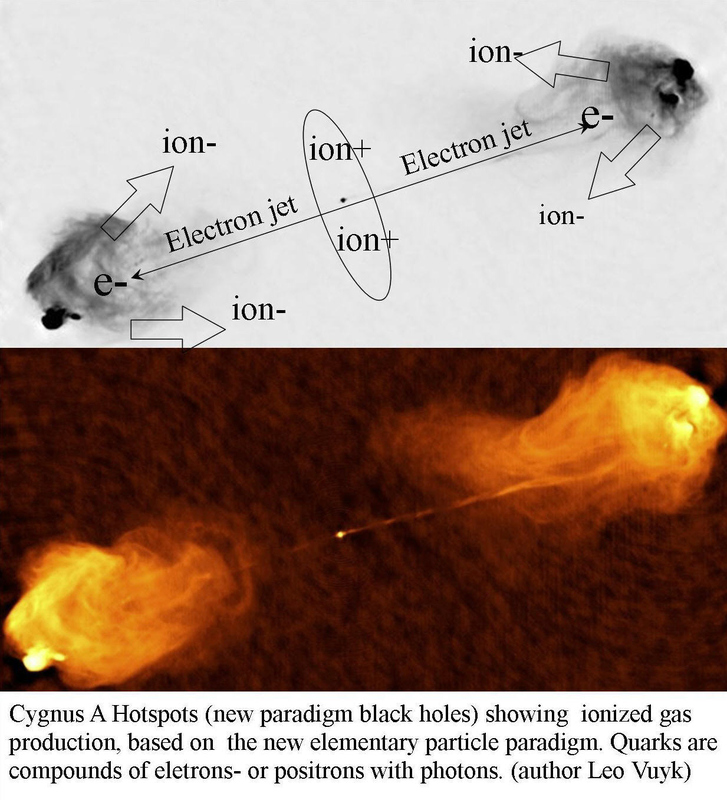 All black holes of different sizes seem to produce a Quark- Gluon- Electron- Positron- Plasma at their Fermion repelling globular horizon as the origin of water based Cometary nuclei and vapour trails of micro Comets and Ball lightning seen at Ball lightning photos and Micro Comet videos. 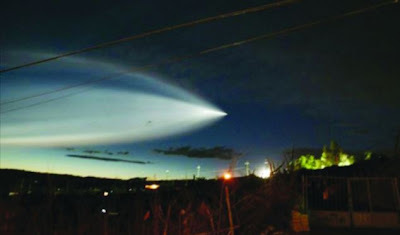 Micro Comets (MCBHs) and Lightning stepped leaders (MLBHs): a product of Sprite Fireballs (SFBHs) or micro black holes. Not yet found in the Rgveda. The Micro comet is in my humble view a clear example of Free energy without the violation of the second law. Some specific Free energy examples are interesting. However, the second law of thermodynamics is not violated if we count Zero Point Energy ( the oscillating vacuum lattice) as the origin of this free energy, the so called Casimir effect and even all "self energy" of spinning and photon-radiating Fermions. According to the Quantum FFF Theory, the oscillating (Higgs) vacuum particle lattice is supposed to oscillate with perpetual motion, each oscillation is compensated by the opposing oscillation of a mirror symmetrical particle in our opposite anti-matter Universe! As a result Black Holes absorb these oscillations by its Higgs particle nucleus and Zero Point Energy (ZPE, or Dark Energy) flows into the ever growing ZPE Black hole. Giant Galaxy Gas outflow evidence for Galaxy Anchor Black Holes (GABHs) located OUTSIDE Galaxies. Massive molecular outflow at Mrk 231, evidence for Galaxy Anchor Black Holes (GABHs) located OUTSIDE Galaxies. ScienceDaily (May 9, 2011) — "With observations from the PACS instrument on board the ESA Herschel space observatory, an international team of scientists led by the Max Planck Institute for Extraterrestrial Physics has found gigantic storms of molecular gas gusting in the centres of many galaxies. Galaxies dominated by the activity of the black hole in their centre loose material at much higher rates, up to a thousand solar masses per year or more. With velocities around 1000 kilometres per second these outflows are probably powered mostly by radiation pressure from the active galactic nucleus. To confirm these first conclusions and study potential trends in the outflow characteristics, the Herschel-PACS observations will continue to cover a much larger sample of galaxies." The Giant Gas outflow is assumed to be a clear result of these qualities. 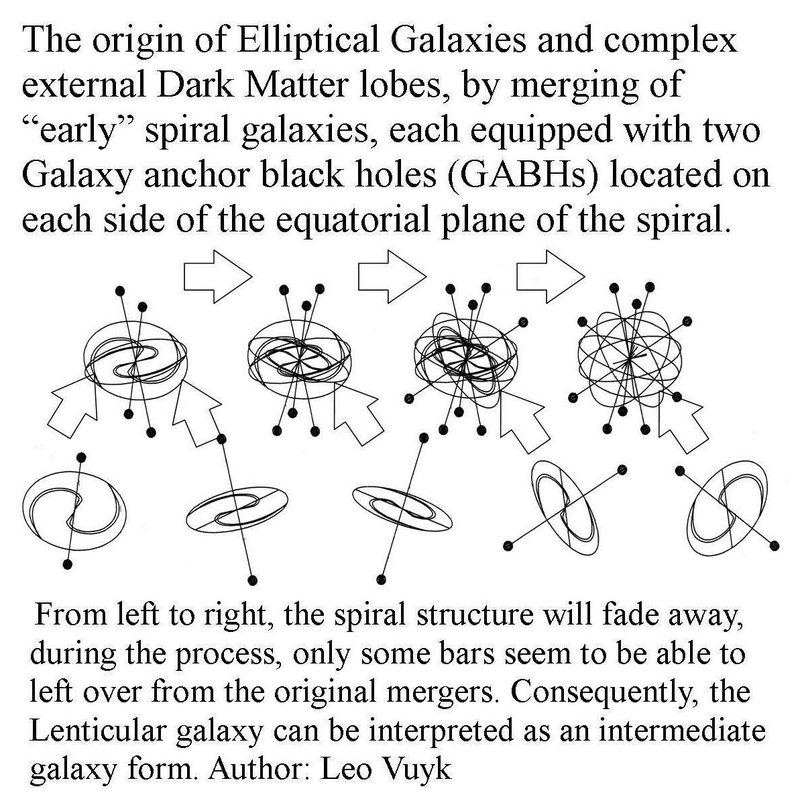 See also my Blog: Galaxy Form and Formation. Strange cosmic ray hotspots tell tales of dual Solar Anchor Black holes? Cosmic rays crashing into the Earth over the South Pole appear to be coming from particular locations, rather than being distributed uniformly across the sky. Similar cosmic ray "hotspots" have been seen in the northern skies too, yet we know of no source close enough to produce this pattern. Second experiment hints at seasonal dark matter signal. Newscientist, 3 May 2011 by Valerie Jamieson, Anaheim. 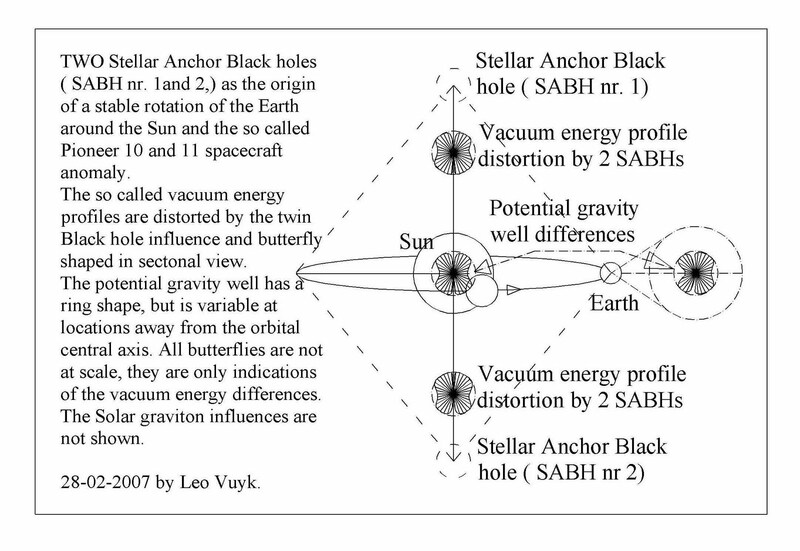 If the dual Polar SABHs are located as indicated in the picture, and Black holes are also the creators of dark matter effects, THEN the seasonal dark matter signal is easily explained. Elongated nebulae in the Milky Way's centre seem to lie parallel to the plane of the galactic disc, hinting at an underlying pattern. 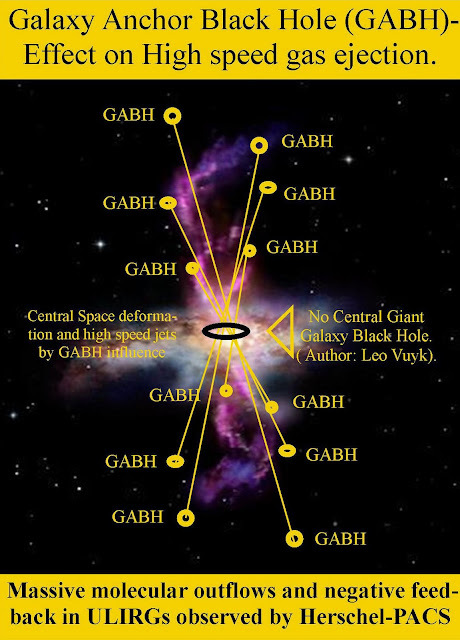 The vacuum structure around spiral galaxies like ours, is influenced by the bipolar GABHs Galaxy Anchor Black Holes. see figure. Radio Bridge FRII in Cygnus A with hotspots (black holes) at the end. The ionized plasma jets are mainly electron jets. positive ionized atoms stay back at the center of the galaxy. 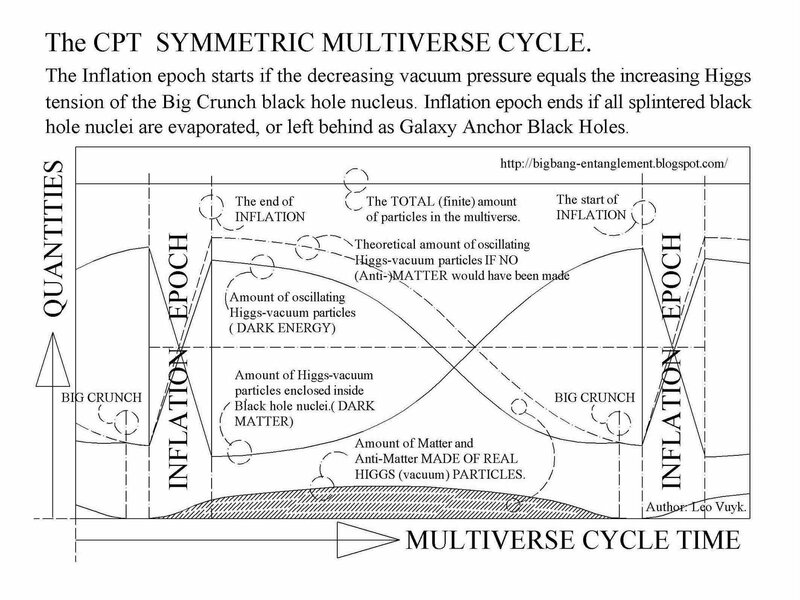 This can according to Quantum FFF Theory be explained, by the new Black Hole physics (paradigm) of Fermion repulsion at the BH horizon, and the double cone shaped polarization structure of the space between the separated black holes. The result is called: anomalous resistivity and ion-electron drag, leading to an enormous current and magnetic field as a base for The electric universe and the fast production of giant stars in the early universe!! Conclusion: the mainstream theory about the contraction of gas into stars and Glaxies after the inflation epoch by gravity alone is only a small part of the story.